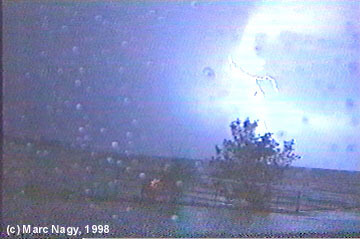 Aug.1999 - various storms of August, 1998 - Ontario Storms Site! 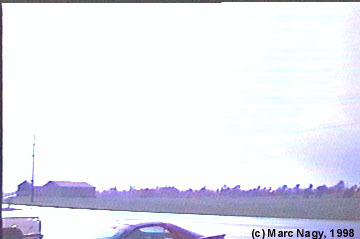 Click here for my video capture page of this chase! 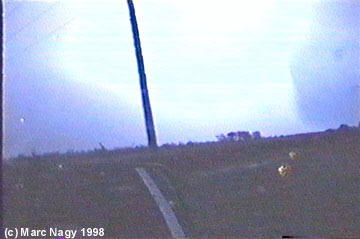 During the day, a tornado began in Spanish (central Ontario) then ripped through the town of Massey up near Sudbury. 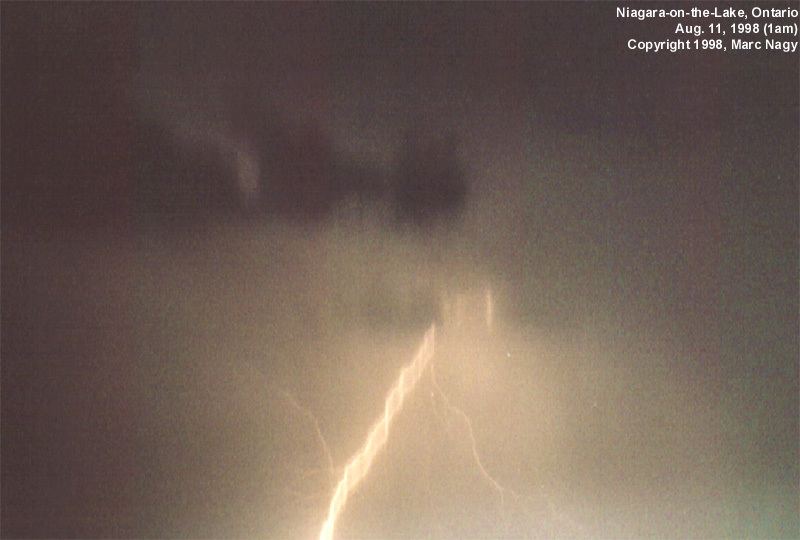 Funnel clouds were reported to have touched down around Lindsay (near Peterborough). 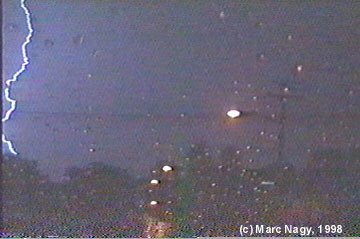 Tennis ball sized hail came down in Cobourg, 2.5 cm hail in Peterborough. 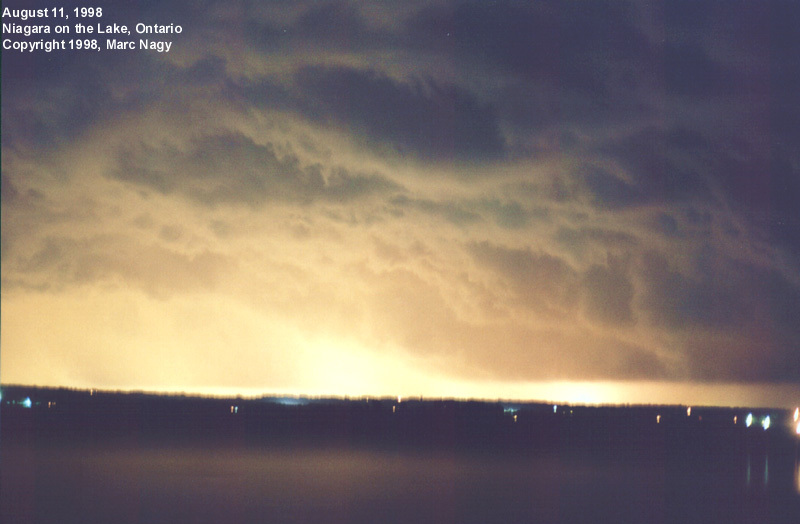 At night, after the front had pushed through the eastern part of Southern Ontario, 3 violent cells poppled up east of Burlington and tracked southeast across the lake directly towards Niagara. 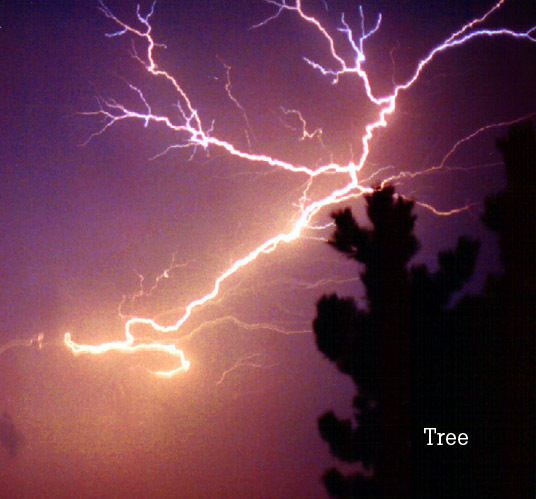 Severe thunderstorm warnings were issued about 20 minutes in advance. 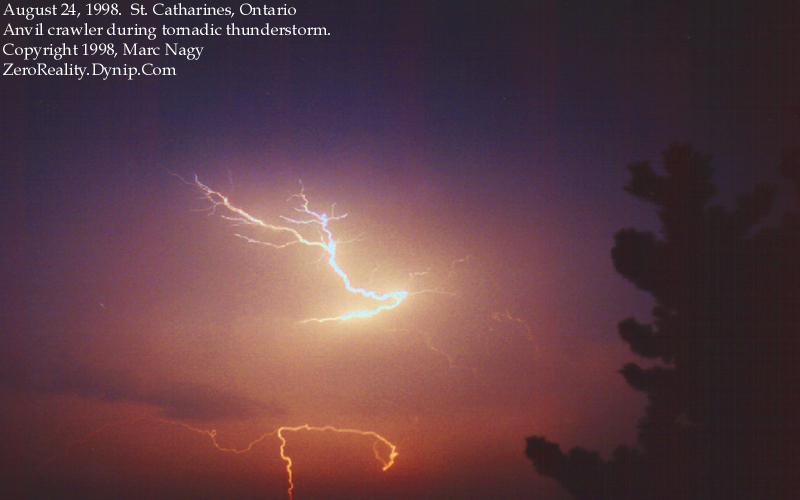 The first storm passed over St. Catharines producing spectacular anvil crawler lightning then dissipated. 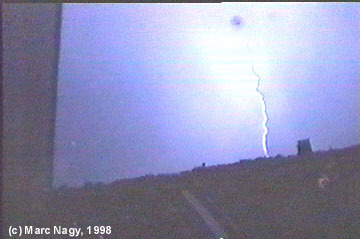 When most of the city thought the storm had passed, the following storm had built up to become very violent and had began to rotate. 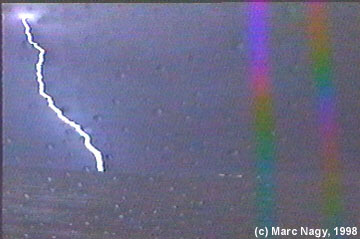 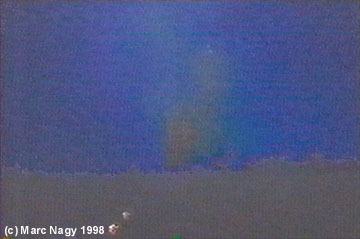 It was shown as a mesocyclone on radar around 9:30pm, and a TVS (tornado vortex signature) was shown on radar at 10:30. 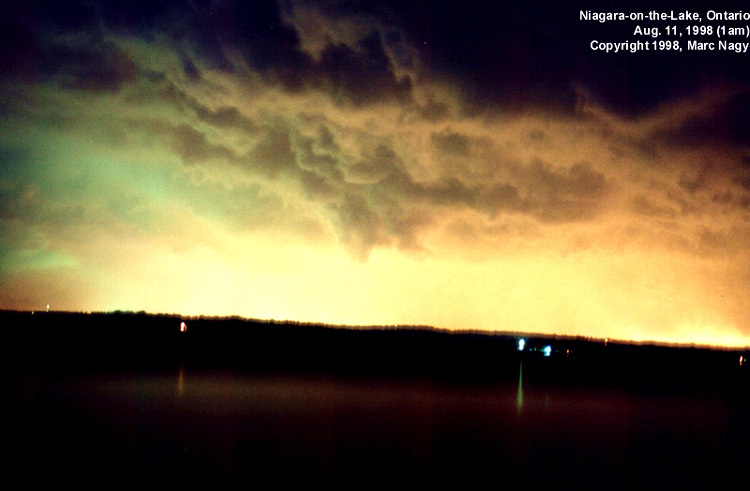 The thick funnel cloud began over the east end of St. Catharines and touched down in Niagara on the Lake, wrapped in -intense- hail and lightning. 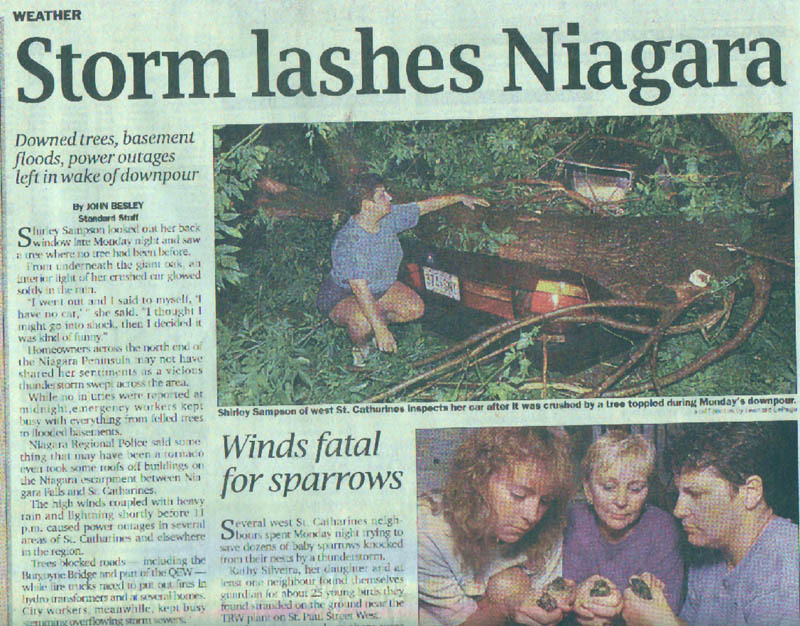 It tracked across NOTL and back into St. Catharines on the Niagara Escarpment, where it ripped the roofs of houses and buildings, destroyed 2 cars, and tore trees from the ground throwing them into other yards. 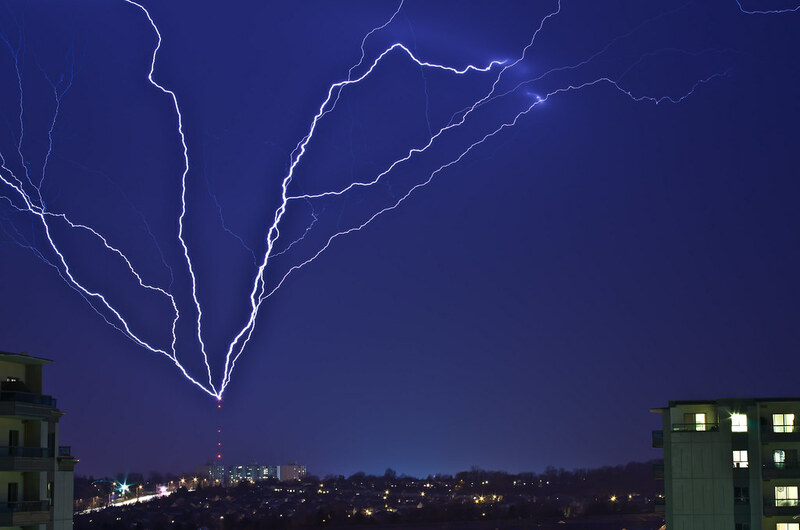 Intense lightning knocked out the power in the Port Dalhousie area of St. Kitts for about half an hour, and torrential downpours flooded basements in homes. 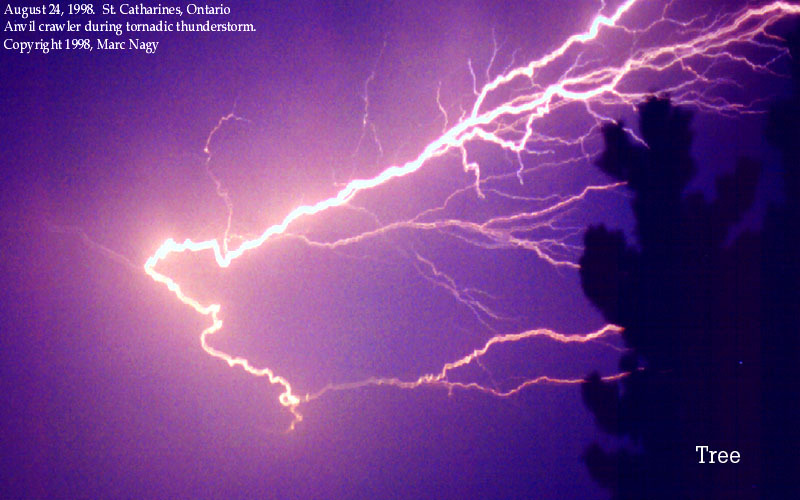 Environment Canada weather summary can be read HERE. 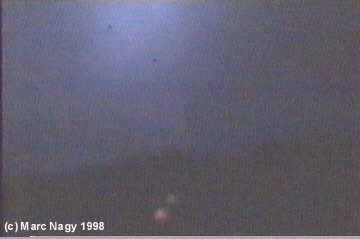 An intense mesocyclone producing frequent cloud-to-ground lightning passed over Niagara before moving into New York state.